I hope 2014 is treating everyone well, so far mines been pretty relaxed and yet I feel so excited about everything that's been happening in the past week or so. Maybe that's because I've made a few little purchases recently and even been treated to a couple of things to, it kind of feels like 'the twelve days of christmas' with how lucky I've been at the moment! 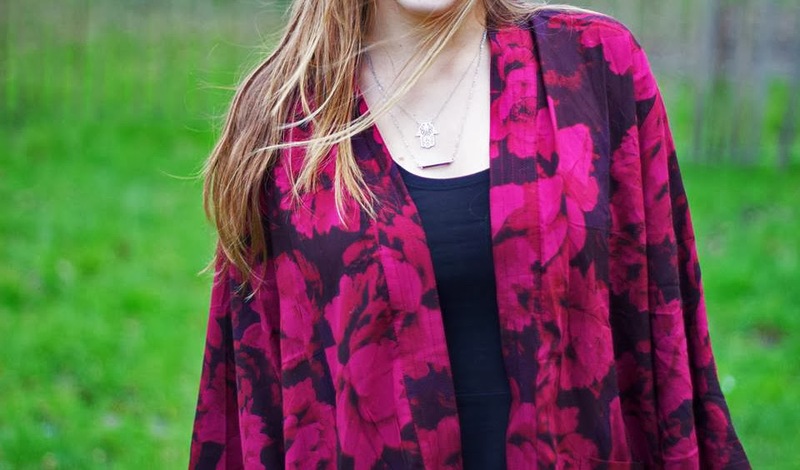 One thing I've been treated to is this AMAZING kimono from motel rocks, which I've had my eye on since the beginning of December and after finding a 20% off code, and even being a lucky enough to have my boyfriend go halves on the price of my shopping basket I finally bought everything I'd had my eye on and I couldn't be happier with it all! I've been wanting a kimono since summer and I started fearing that they were no longer the 'in' thing but after spying others like CharissaRae and Llymlrs still styling them I knew I was safe and I knew this definitely ticked all the boxes with the winter florals and it even fuels my addiction to burgundy and other winter reds (I must refrain from buying anything else with a similar colour) I couldn't ask for anything more in a kimono! I'm not a huge fan of this dress, partly because it's so old and also because it's so low cut, but for now I think it works well with the kimono, although I am definitely looking into a cropped black top to pair with some black jeans, which I think will hopefully look equally as nice. Also I'm Usually not one for worrying about accessorising as I'm quite picky and only really like silver jewellery, but I decided it was time to start looking for something that would add a little pop to an outfit and I'd had my eye on a hand type necklace for a while and even a simple bar necklace, so I headed straight to urban outfitters in the hopes they would do just I wanted and sure enough I was not left disappointed, I picked both these necklaces up straight away and love how the bar necklace is just long enough so I can layer it with the hand necklace, I feel they really do add to an outfit. I would like apologise quickly for my sock peaking out of a boot of mine, (what a rookie mistake to make) I adore these boots though, I've had them for quite a while now, but just haven't got round to wearing them much as I'm not the sturdiest on heels even ones that are only 9cm in height! But this year it's all about becoming more confident so I will start trying to brave these out and about around town first and then the next step is braving them to college, it just seems so daunting and nerve wrecking wearing them in a place like college even though you can make them look so casual, but I will accomplish it before I leave this year! thank you for the comment lovely! you look so gorgeous! i love the kimono. thank you for your lovely words about my photos as well, it's funny to hear that i'm an inspiration to you, but very flattering too! i hope you enjoyed a-level photography, i loved it! 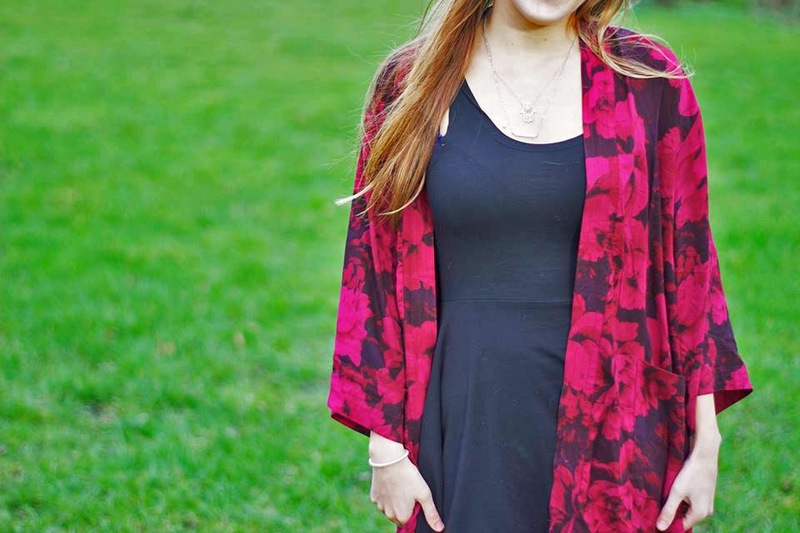 that is such a lovely print kimono! really nice shots too! Lovely blog, happy to be your newest follower! 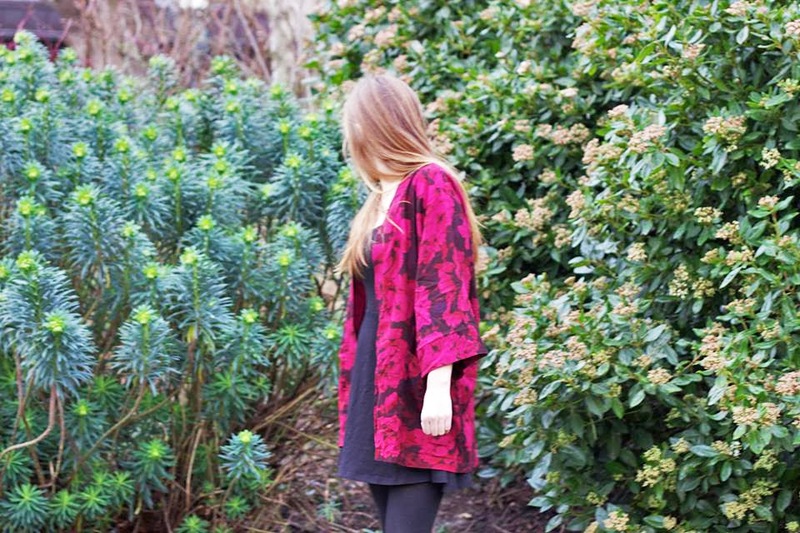 Hello lovely, just came across your blog and it's great - love the kimono! I've nominated you for the Liebster award as I love your blog! Just go onto my blog and read through my latest blog post to find out what you have to do! Love the kimono, the colour is gorgeous! 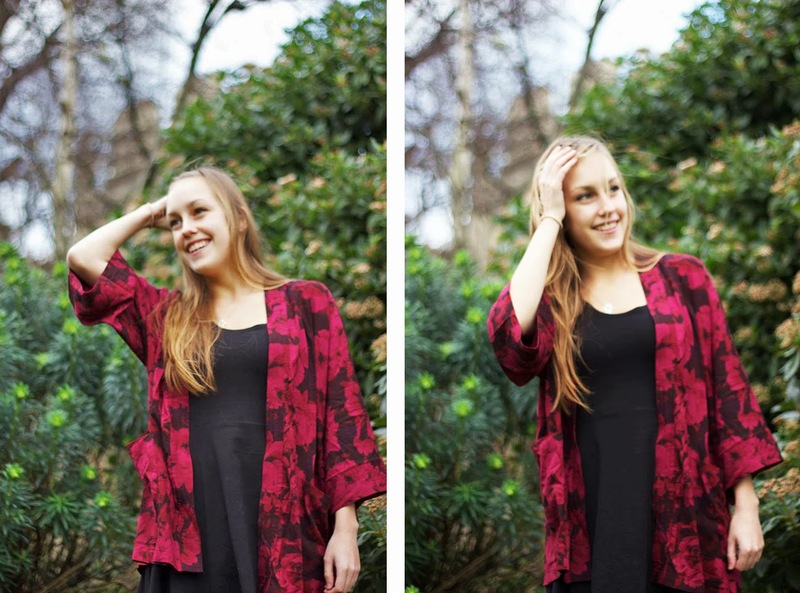 Love the pop of color from your jacket! I love all photos, cute outfit!